The Village of Chester is located in the northern section of the Town of Chester, which is part of Orange County, New York. The small village is a blend of residential, business and industrial areas. Route 94 runs across the south of Chester village. If you were ticketed while driving on Route 94, or on any other local road, you should speak with a qualified traffic attorney before making any decisions about what to do in your case. Just because you were pulled over and ticketed in Chester Village, NY does not mean you will need to show up to court. 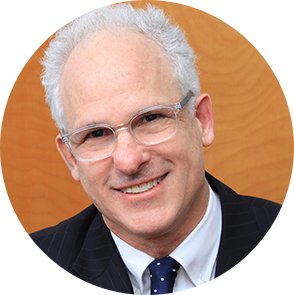 I am experienced Orange County, NY traffic ticket lawyer Jonathan Katz. I operate under the assumption that every one of my clients deserves a strong legal defense. That’s why I fight so hard to protect my clients’ best interests and always make myself available to answer questions, discuss strategy and go over legal options for challenging their traffic tickets. Depending on the type of traffic violation you are accused of committing, the strength of the evidence and the facts or circumstances of your traffic stop, I may be able to raise different legal and factual defenses when I represent you in Chester Village Traffic Court. My goal will be to get your ticket downgraded or even dismissed entirely. If you do not have qualified legal representation, you could be at great risk of severe penalties, including points on your driver’s license, loss of driving privileges and even jail time. If you aren’t careful, you could get hit with a multiple-point offense and end up with too many points on your license. If you accumulate enough points, you could wind up losing your license for a very long time. Moreover, even if you maintain your driving privileges, your insurance company may decline to continue your coverage if they deem you a “high-risk” driver. A knowledgeable traffic attorney can guide you through the legal system and make sure that you come out of this process with minimum penalties and your license still intact. When I defend you in Chester Village Court, I will bring with me all that I’ve learned during my 36 years of experience handling traffic cases in NY courtrooms. Whether you were ticketed for excessive speeding, running a red light or any other traffic violation, I will fight for you and help you beat the charges. If you’ve been issued a traffic ticket in Chester Village, Chester Town or anywhere else in Orange County, NY, Jonathan D. Katz, Esq. can help you fight your traffic charges. I have successfully represented many clients accused of moving violations in New York. Call me day or night at (866) 265-0222 to discuss your case or schedule a consultation at my New Paltz, New York office.